In conjunction with Wimbledon’s mens’ finals day, the social committee organised a Wimbledon Tea Party. 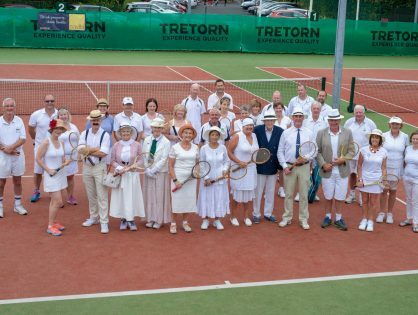 The tennis was old style with some superb traditional outfits and the tea and cakes were delicious! Well done to all who took part and congratulations to the Social Committee on yet another successful event. The photos are available at this link on facebook.